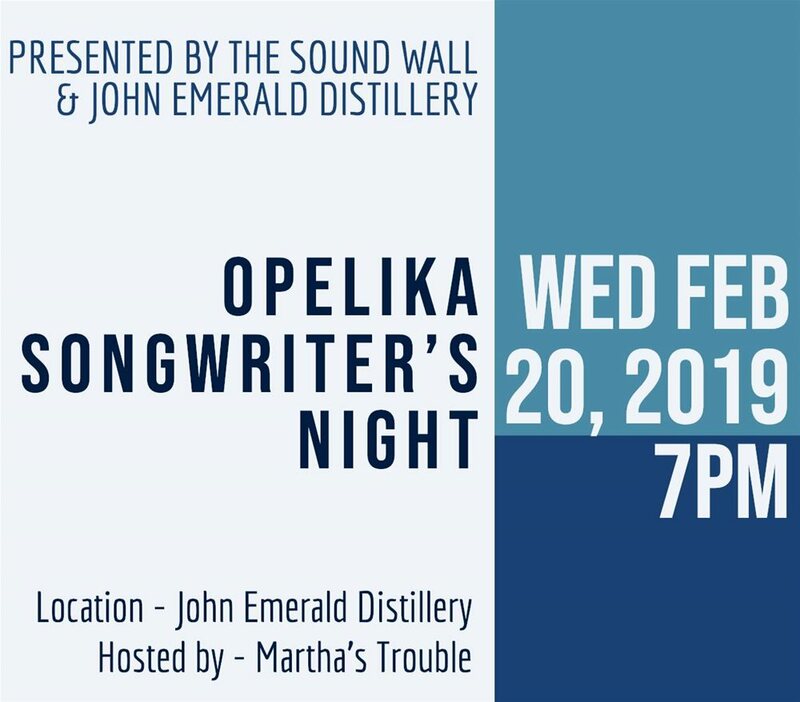 Martha's Trouble will host the Opelika Songwriter's Night, presented by The Sound Wall and John Emerald Distillery, on Feb. 20, 2019, at 7 p.m.
Opelika Songwriters Night features local and regional songwriters "in the round" at John Emerald Distillery in Downtown Opelika. Come enjoy fine original songs performed by the writers themselves in an intimate listening environment. The show starts at 7 p.m. No cover.